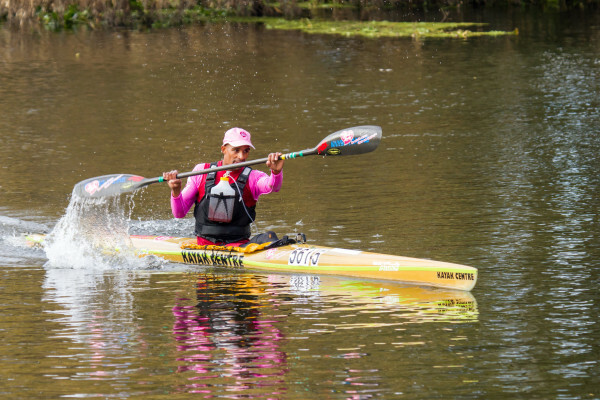 Paarl – Jermaine Pietersen is aiming to achieve a maiden top ten finish at this year’s Berg River Canoe Marathon when he tackles the four day challenge from Paarl to Velddrif from 13 to 16 July, the pinnacle event of his annual canoeing calendar. 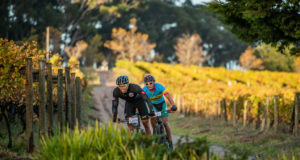 “I’ve been training for this year’s Berg since October last year because 240 kilometres is a very long way and so you need to prepare well if you are going to achieve your goals,” explains Pietersen. “While many South African paddlers train for the Dusi, the Berg is the big event I train for each year; the Berg is my Dusi and so I need to make sure I give it my best! “I finished eighteenth last year but if you take out the five international guys – as most won’t be here this year – then I was thirteenth so I definitely want to push for a top ten at this year’s race,” he adds. With his focus fixed on his preparations for his ninth assault on the gruelling race in a few weeks’ time, Pietersen’s introduction to paddling seems a long time ago. The impact of the sport on the 30 year-old’s life remains no less significant though with the enthusiastic competitor now keenly blooding the next generation of Berg top ten hopefuls through his involvement in the Paarl Canoe Development Programme. “I come from the location in Paarl East and one day Moses Africa – who is now sadly ten years dead after battling cancer – introduced me to paddling and I fell in love with the sport straight away. “A couple of us friends from back then are still paddling today; some of the others are sprinters but I’m into marathons. “The sport has changed my life; I have an afternoon coaching job now and I got my license. Without paddling who knows how my life would have turned out? Between Pietersen and the programme’s head coach, Mzamo ‘Wayne’ August, the paddling programme caters for over fifty Under-8 to Under-23 youngsters who are separated into training groups and alternate under the two mentors’ care. “We split the groups and one day I’ll take the guppies and Wayne the K1s and the next day we’ll swap. “Most of our paddlers come from the same location I grew up in and this year three of our paddlers did incredibly well at SA Schools Sprints Champs, winning 20 medals between them – the most by any development programme in the country! “These fifty children have become like my own children; they listen to what I say and show me such respect – this has been another aspect of paddling that has changed my life and given me perspective,” says Pietersen. While thriving on the opportunity to shape and mould tomorrow’s stars in his role as the programme’s assistant coach, Pietersen also remains determined to perform as a competitor, this despite the dramatic effects of the drought that currently ravages much of South Africa. “The section of river that we train on has been quite tough to paddle because every time you put your paddle in, you hit the sand on the bottom. “Luckily the weir just below where we train has been raised so the water level is higher now and at least we’ve got a little bit of water to train on. While conditions are far from ideal, Pietersen draws inspiration from life’s hardships that he’s experienced as well as the lessons learned during his time with Paarl Canoe Development Programme and remains positive his maiden top ten pursuit. 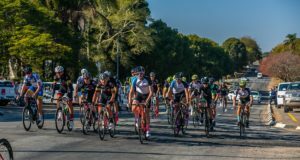 “Training, especially in the winter weather, can be tough!